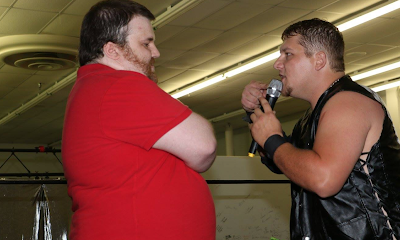 It's been well established that there is no love loss between Stride Pro Wrestling General Manager Sam Hunter and current Legacy Champion Tony Flood. The two have been at each other's throats since the birth of the company 18 months ago. At one point Flood was fired, but was able to work his way back onto the roster after winning the championship. At Hot August Night 2, Flood's mouth once again got the best of him. He and Hunter went back and forth on the mic for a few minutes before the GM finally came up with a deal to hopefully bury the hatchet once and for all. If Tony Flood holds on to the Legacy title until December 31, 2017, he will replace Sam as the General Manager. Flood agreed to the stipulation and the two begrudgingly shook on the deal. 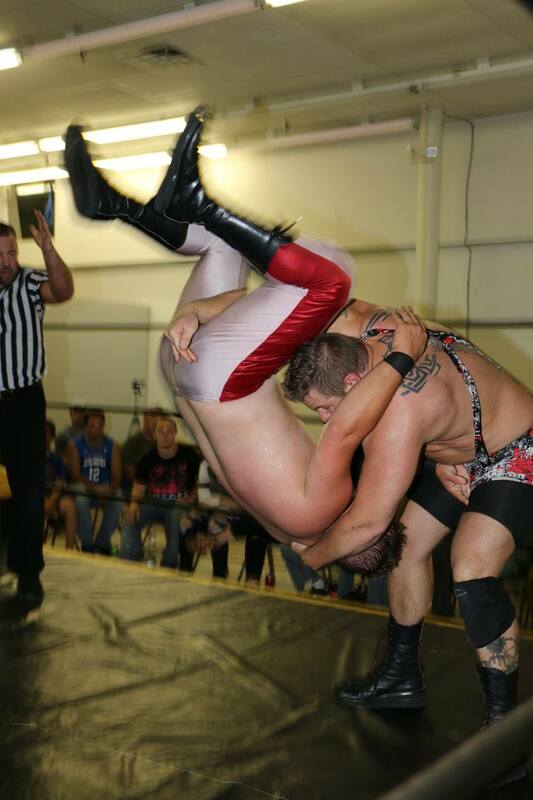 Moments later, Hunter put Flood in a defense involving his largest challenge to date. St. Louis native Johnny Blade. The big man weighs in at about 260 pounds, more than 50 pounds heavier than the champ. Blade whipped Flood around the ring as many fans had expected. And there were a couple of times it appeared that the Legacy title would changes hands. But Tony Flood is a crafty wrestler. That's a nice way to say he's sneaky. The tide turned a couple of times throughout and to Flood's credit, he pulled out a school boy and got the win. He really not only wants to hold on to his championship but also wants to become the Stride GM in 2018. Be sure to join us again next month, on Saturday, Sept. 9 to see what challenge Flood faces next.